Steiner et al. (31) reported the first successful case of AVM radiosurgery in 1972. Their subsequent publications provided further strong evidence that radiosurgery, even without computerized dosimetry, could produce reasonable success rates in the treatment of carefully selected AVMs (32-35). The Gamma Knife experience with radiosurgery for AVMs has been extensive and is well documented (13,36-50). Particle beam radiosurgery has also been employed successfully in the treatment of AVMs, as documented by another extensive literature (51-64). In 1987, Betti and his colleagues first reported the use of a linear accelerator radiosurgery system in the treatment of AVMs (65,66). Again, an extensive literature has documented a generally successful experience (24,67-82). From 5/18/88 to 5/14/02, 495 patients with arteriovenous malformations were treated at the University of Florida. The mean age was 39 yr (4-78). 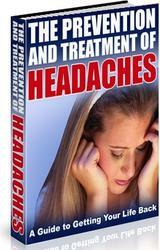 The mean treatment volume was 9 mL (0.2-45.3 mL). Many patients early in the series were treated with single isocenters (254), but in recent years an effort has been made to produce highly conformal plans by employing multiple isocenters. The mean radiation dose to the periphery of the AVM was 1596 cGy, and the mean follow-up duration was 31 mo. Presenting symptoms included the following: headache/incidental (169), seizure (197), hemorrhage (165), and progressive neurological deficit (20). Thirty patients had undergone prior surgery, and 49 had undergone prior embolization. Spetzler-Martin scores were as follows: I, 22; II, 173; III, 204; and IV, 86. AVMs were further delineated into four nidus volume categories: A, <1 mL; B = 1-4 mL; C=4-10 mL; and D= >10 mL. Angiographic cure rates (Fig. 7) were as follows: A, 85%; B, 83%; C, 70%; and D, 44%. Ellis et al. (25) performed a detailed analysis of treatment failures in our series in 1998. He found that 26% of the failures were owing to targeting error, at least in part. Statistical predictors of failure were increasing AVM size, decreasing treatment dose, and increasing Spetzler-Martin score. Of particular interest were the "cutpoints" identified. There was a dramatic increase in cure rates when the peripheral dose was raised to a least 15 Gy. There was a dramatic decrease in cure rate when AVM size exceeded 10 mL (size D). In a more recent analysis, a study was undertaken to determine which factors were statistically predictive of radiographic and clinical outcomes in the radio-surgical treatment of AVMs. The computerized dosimetry and clinical data on 269 patients were reviewed. 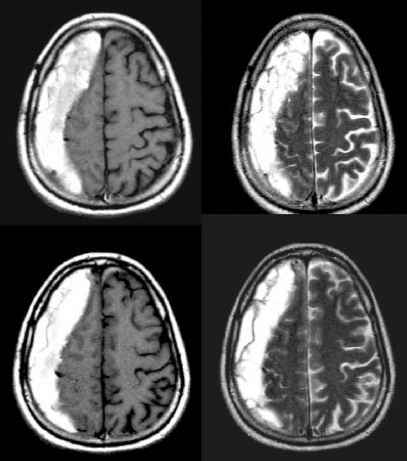 The AVM nidus was hand-contoured on successive enhanced CT slices through the nidus, to allow detailed determination of nidus volume, target miss, normal brain treated, dose conformality, and dose gradient. Fig. 7. 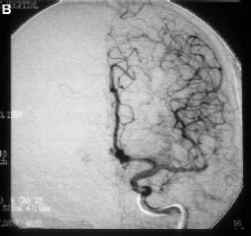 (A) Anteroposterior angiogram shows an AVM nidus in the left parietal lobe. A dose of 1750 cGy was delivered to the 70% isodose line, using three isocenters. (B) Two years later, an anteroposterior angiogram shows complete resolution of the AVM, with preservation of normal middle cerebral vasculature in the same area. In addition, a number of patient and treatment factors, including Spetzler-Mar-tin score, presenting symptoms, dose, number of isocenters, radiographic outcome, and clinical outcome were subjected to multivariate analysis. None of the analyzed factors were predictive of permanent radiation-induced complications or hemorrhage after radiosurgery in this study. Eloquent AVM location and 12-Gy volume correlated with the occurence of transient radiation-induced complications. Better conformality correlated with a reduced incidence of transient complications. Lower Spetzler-Martin scores, higher doses, and steeper dose gradients correlated with radiographic success. When AVMs are not cured, current practice frequently involves a "retreat-ment," usually 3 yr after the original treatment. We reviewed the cases of 52 patients who underwent repeat radiosurgery for residual AVM at our institution between December 1991 and June 1998. In each case, residual arteriove-nous shunting persisted beyond 36 mo after the initial treatment. The mean interval between the first and second treatments was 41 mo. Each AVM nidus was measured at the time of original treatment and again at the time of retreat-ment, and dosimetric parameters of the two treatments were compared. After retreatment, patients were followed and their outcomes evaluated according to our standard post-AVM radiosurgery protocol. Definitive end points included angiographic cure, radiosurgical failure (documented persistence of AVM flow 3 yr after retreatment), and death. The mean original lesion volume was 13.8 mL, and the mean volume at retreatment was 4.7 mL, for an average volume reduction of 66% after the initial "failed" treatment. Only two AVMs (3.8%) failed to demonstrate size reduction after primary treatment. The median doses on initial and repeat treatment were 12.5 and 15 Gy, respectively. To date, 25 retreated patients have reached a definitive end point. These include 15 (60%) angiographically documented cures, 9 (36%) angiographically documented failures, and 1 fatal hemorrhage. A single permanent radiation-induced complication occurred among 52 patients (1.9%), and 1 patient experienced a transient deficit that resolved with steroid therapy. Two hemorrhages (one fatal) occurred during a total of 130 patient years at risk, resulting in a 1.5% annual incidence of posttreatment hemorrhage. Four hundred sixty-six of the 495 patients were available for clinical follow-up. Eight patients (1.6%) sustained a permanent radiation-induced complication. Fifteen (3%) had a transient radiation-induced complication (Fig. 3). These problems usually resolved within several months of steroid therapy. Most importantly, 29 patients suffered hemorrhages after radiosurgical treatment and 7 were fatal. The results of other radiosurgery series are summarized in Table 1. The overall angiographic cure rate in the University of Florida experience is 67%. Dose greater than or equal to 1500 cGy and AVM volume of <10 mL correlated with higher success rates (>80%). This experience is similar to that of other large radiosurgical series (62,63,69,83) in the literature. Radiation-induced complications were few. Of more import was the incidence of hemorrhage after radiosurgery (84,85) In 1996, our group investigated the incidence of hemorrhage after radiosurgery in our series (86). Two hundred one consecutive patients were analyzed. Poisson and parametric survival statistics were used. No statistical alteration from the natural history hemorrhage rate of 4%/yr was identified at any time interval after radiosurgical treatment. In addition, all covariates that were predictive of hemorrhage correlated with increasing AVM size. Pretreatment hemorrhage did not lead to a higher incidence of posttreatment hemorrhage. What about conservative followup? Assuming an annual hemorrhage rate of 3%/yr the chance of no hemorrhage is 1-0.97", where n = number of years (Fig. 8). As documented by Kondziolka and McLaughlin (87), using life insurance actuarial tables to predict number of years of remaining life at various ages, the cumulative risk of hemorrhage is quite high, even in the elderly. For example, an average 65-yr-old with an AVM has a 42% chance of hemorrhage from his AVM during the remaining expected life span. Consequently, conservative therapy (no treatment) is reserved for patients with AVMs that are too large for radiosurgery (and who are poor surgical candidates) or for patients whose medical infirmity predicts short life expectancy. 1. Based on what we know today, only surgery can immediately eliminate the risk of hemorrhage from AVMs. 2. The risk of hemorrhage until complete thrombosis occurs is approx 4%/yr. 3. Radiosurgery for AVMs <10 mL in volume has a >80% success rate. 4. It takes approx 2 yr for radiosurgery to produce thrombosis. 5. The risk of permanent radiation-induced complications after radiosurgery, using modern imaging and dosimetry techniques, is <2%.